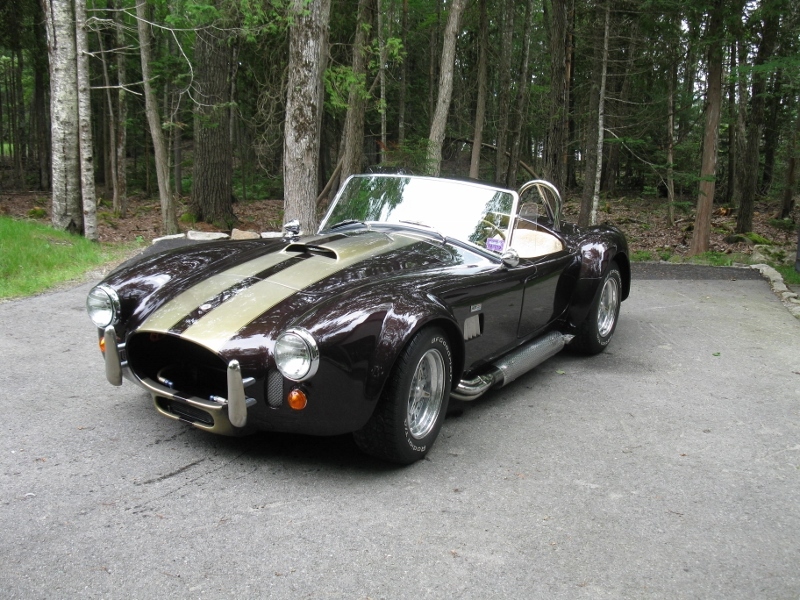 1966 CR 427 Cobra Roadster by Classic Roadsters Ltd.
Quality extras including bumper over riders, quality stereo, power door latches, finished trunk, etc. Mild Ford 302 with chrome side exhaust and detailed engine and compartment. 1970 Jaguar XKE convertible series 2 . All matching numbers, 4.2L 6 Cyl. with 4 speed manual transmission. Power steering and Power brakes. The regency red paint is very good and shows well. New black leather interior, carpets, and top 6 years ago. Complete engine tune up and carb adjustment by a professional English auto restoration specialist. Chrome wire wheels including spare with original knock off removal tools. Jaguar Heritage Trust Certificate, Title and receipts included. This is a turn key classic in excellent condition. 1965 wooden Thompson 21 ft runabout with Merc Cruiser IO. Needs transom repair. 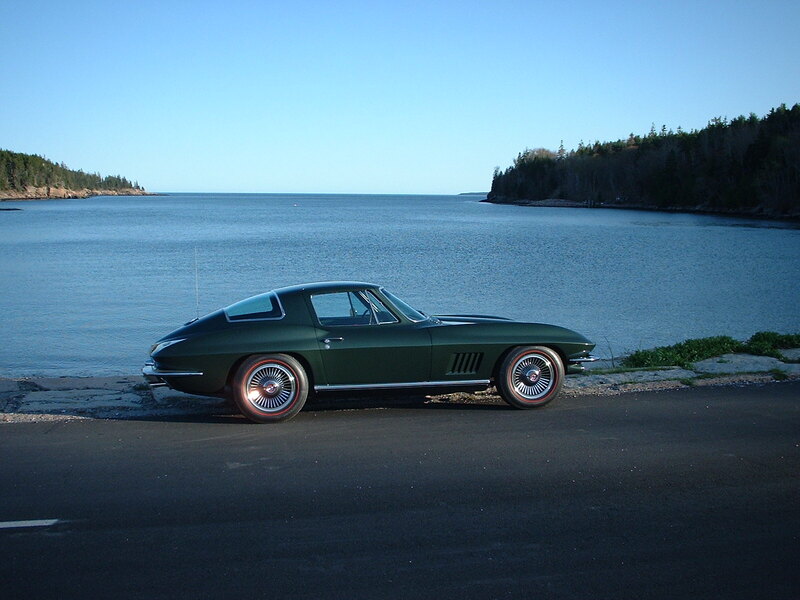 Very presentable driver quality 1965 Corvette Convertible. Painted ermine white (original glen green) with black leather interior and white soft top. Equipped with 67 6 inch rally wheels with new trim rings, new caps and Michelin radial tires. Engine is mild 327 NOM (original 365hp car) with 4spd. 400ci, automatic, PS, PB, PW, Nice Maroon paint with white interior and convertible top. I love this photography. Your great photography is very very helpful for me. Thank you very much.